Happy Wednesday! I’ve got some WIP’s to show you, but first I want to tell you that I’m extending the deadline for the August UFO link up until Sunday, Sept. 11, midnight (PST). I’m leaving town tomorrow morning for 6 days (visiting my daughter and her husband in Seattle (area), and I thought you guys could use my downtime to your advantage. So if you haven’t finished a project for August, you have a little more time! If you’re new here, make sure to read all about my Hello 2016, Goodbye UFO’s challenge. I completed two more Splendid Sampler blocks this week. It always feels like such an accomplishment when I add to my pile of finished blocks. The sad thing is that I’ve only done less than half of them! Here is block #52, Coneflower, designed by Pat Sloan. I love the big applique shape and it’s just so cute and chunky! Block #57, Starting Point, designed by Lissa Alexander, was easy piecing and very scrappy. I like the balance of skill levels in all of these blocks. Some take me 30 minutes and others will keep me sewing for hours. Every once in a while you have to lay out all of the blocks to see how it’s looking. I now have 25 blocks and they look pretty cozy together. I can see what colors I need to include more of, such as that navy blue and sea foam green. I’m using up my stash of Fig Tree fabrics and a little bit of Bonnie & Camille. Speaking of my Fig Tree stash, I cleaned out the drawer that I keep it in and got rid of a bunch. I forgot to take a “before” picture, but this is the after shot. That is part of my September UFO challenge. I’m cleaning out my sewing room. I don’t know what I’m going to do with the “overage”. I may donate some of it to charity. I’d love to do a little swap or host my own yard sale. Does anyone know of an easy way to pass along your unwanted stash? I could probably open up my own online shop…. no just kidding. Our Farm Girl Vintage BOM at The Granary is progressing nicely. This month we tackled the Patchwork Pumpkin and Winter Star, plus two others. These blocks are always so fun to make. I received an order of stencils in the mail today! I’m preparing for an upcoming tutorial on using stencils for quilting. I’m anxious to get started, but it will have to wait until I return from our little road trip. I found a few more things that should have been included in my last Sew Thankful Sunday post, so I thought I would add them here. I think you’ll agree that they are worth a visit. That’s everything for now. I’m going to be off the grid for a few days, so please be patient with my replies to your comments. I always read them right away, but I won’t have a chance to respond immediately. I do SO appreciate hearing from you though! Enjoy the rest of your week. Donating to a local guild is always a good idea. I’ve been involved in making small quilts to be given to the little babies in the NICU at local children’s hospital. Enjoy your trip and family visit! Travel safely! I hope you have a great trip. You are traveling to my area, I live just north of Seattle. I love your blocks using your fig tree fabrics. I had planned to join in but have been focused on completing a few projects that have been waiting for me. Thanks for the inspiration. A lot of quilt guilds do charity work and would love material donations for that purpose. I belong to the Millington, Tennessee Quilt Guild(my home town). They do charity quilts for local hospitals, veterans, animal rescue. We also have a Cancer Quilt raffle every year with the money given to the American Cancer Society. So donate your overage to a worth charity cause. Love your posts. Have a good time. All of your blocks together are beautiful! Many are successful destashing on instagram. Have a great visit! Donna hosted a fabric “sale” of what she was getting rid of. Same price for everything – free. A fun afternoon. We are heading in opposite direction from you – Anchorage to Seattle to home. And unfortunately I stopped in a quilt shop here – and didn’t leave empty-handed. More ufos to be. Check your local churches or quilt guilds to see if they want fabric to make quilts for special needs. My church’s Heart 2 Heart quilters always appreciate donations of fabric for the quilts we make for youth 0-17 years of age. 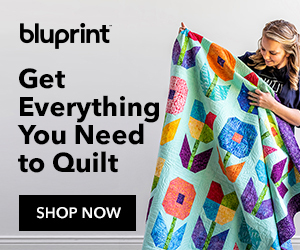 The majority of the quilts go to Dell Children’s Hospital. Jo at joscountryjunction.com takes scraps and other fabric people no longer want. She uses them to make charity quilts and if she can’t use the fabric she donates it to someone that can. I am always open to others scraps or unwanted. 🙂 I am collecting material for retirement… mine. I do not have time to sew, taking care of my Mom with Dementia and working full time… so I collect for a day to come.. and a bucket list day. Thanks for your wonderful words… all the time. My local quilt shop used 6″ squares to make “charity quilts that they donate to people in need in the community. Or we have a “craft” shop that takes fabric and other craft items to sell. Love the blocks you shared. Have a good trip to visit your daughter!! My friend, Victoria, is making bags that will become health & hygiene kits for underprivileged girls. I am cleaning out my stuff and passing it on to her. I’m sure there is a charity near you that needs fabric OR you can send it up o us in NYC!